Mary Jane, Rachel & Sandy at Mack Cycle and Fitness. 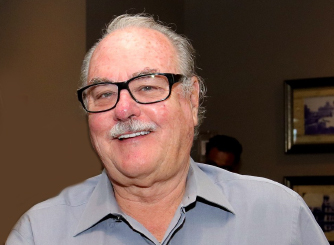 Mack Cycle and Fitness celebrates 60 years as South Miami’s hometown bike shop. Operating the family-owned business is resting more and more on the capable shoulders of the third generation, Rachel and Sandy Losada. Owner Mary Jane Mark looks forward to passing the baton to her daughters. Mack Cycle is a success story that began when Thaddeus and Helena Mark moved to South Miami from New York in 1957. They bought a business named Mack’s Cycle and Lawnmower repair located in what is now the Community Newspaper building on SW 62 Avenue. By 1969, the business relocated to a building constructed by Mr. Mark on Sunset Drive near City Hall. It has been a thriving shop in that location ever since. Photo above: Mary Jane sits on her brother Teddy’s lap while Tom, another brother, sits in the side car. 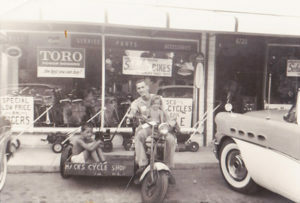 Photo taken outside of Mack’s Cycle & Lawnmower on SW 62 Avenue (circa 1956). “Dad was a visionary. He rather quickly realized that given south Florida’s climate, bicycles were in use year round and weren’t just hot sellers once a year during Christmas. He began to concentrate on the cycling side of the business when most other national retailers were not,” said Mary Jane. Mary Jane’s parents established a business model based in valuing customer service, integrity, and participation in community service. 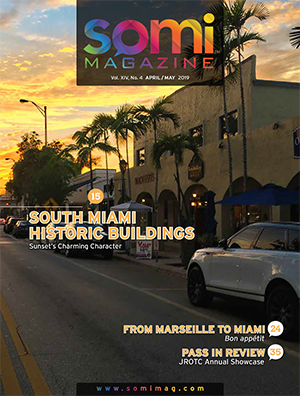 Mack Cycle, a shop with the full spectrum of cycling needs, has gained icon status in the Miami area, is recognized as a Five Star Top 100 Bike Store in the nation, and is known to cyclists around the world. The League of American Bicyclists recognized them as a Bicycle Friendly Business at the Platinum level this year. 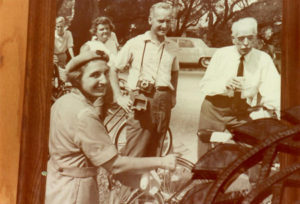 Photo below: Helena and Ted Mark with renowned cardiologist, bicyclist and founder of preventive cardiology. Dr. Paul Dudley White, at the opening of the Old Cutler Road Bicycle Path. Mary Jane’s business philosophy is patterned on the good habits she learned from her parents. 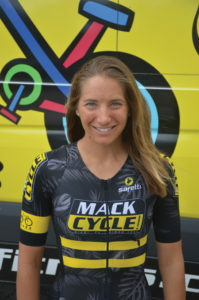 She maintains a strong involvement with the cycling community and cycling advocacy groups at all levels. Her philanthropic nature is shared by her daughters and together they focus on giving back to the community while promoting the sport of cycling. Her parents helped foster cycling by assisting in the establishment of the bike path on Old Cutler Road. Mary Jane funded the creation of mountain bike trails on Virginia Key. Along with Rachel and Sandy, she works for the development of the Ludlam Trail and The Underline, and advocates for Bike 305, a movement to encourage residents to cycle for better health by utilizing trails and public transit throughout the county. 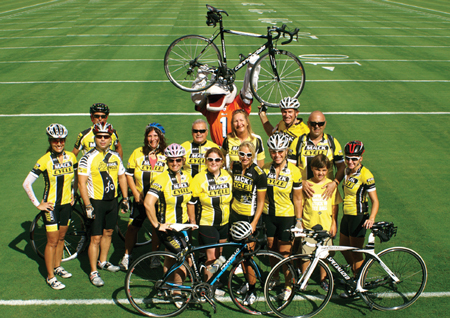 Among their many charitable activities are the Dolphin Cancer Challenge, Best Buddies, and the MS 150 Ride. The future for Mack Cycle lies in the family’s ability to keep doing what they have always done while remaining current with or ahead of the next innovation in cycling and fitness while focusing on value and quality of product lines. They believe that educating children about the importance of cycling as a form of exercise and transportation needs to start as early as possible. 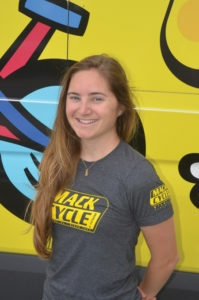 “We work to make Mack Cycle a place to come hang out and learn about cycling,” said Rachel. She reminds us that the sport can take many forms from a short ride to the local store or to the rigors of a triathlon. As an accomplished triathlete who has competed nationally and internationally, Rachel believes in having the shop sponsor triathletes as part of its business model. 2016 Best Buddies Miami Challenge. The morning of Friday, November 18, as an exclusive fund-raiser for the organization, fifty cyclists had the opportunity to ride a singular Miami scenic route with world champion cyclists in a 60-mile peloton. “Cyclists are looking for sponsors and we feel it complements what we do here to be asked,” said Sandy. Rachel and Sandy are set to follow their mother’s lead and are prepared to take Mack Cycle and Fitness into the future bringing more business milestone celebrations. Mack Cycle and Fitness is located at 5995 Sunset Drive in South Miami. 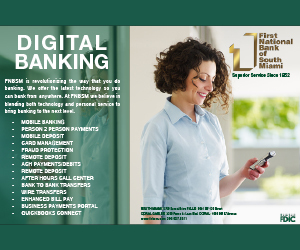 For more information, visit www.mackcycleandfitnessmiami.com, or call, (305) 661-8363. Mary Jane Mark with Best Buddies Founder Anthony K. Shriver. Mary Jane with Miami Dade County Mayor Carlos Gimenez at the BIKE 305 “Bike to Work Day 2017” event. 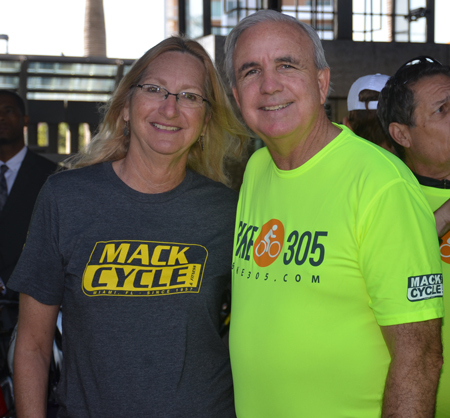 Mack Cycle is one of the presenting sponsors of BIKE 305 since its inception. Mack Cycle Team takes the field for the Dolphins Cancer Challenge. 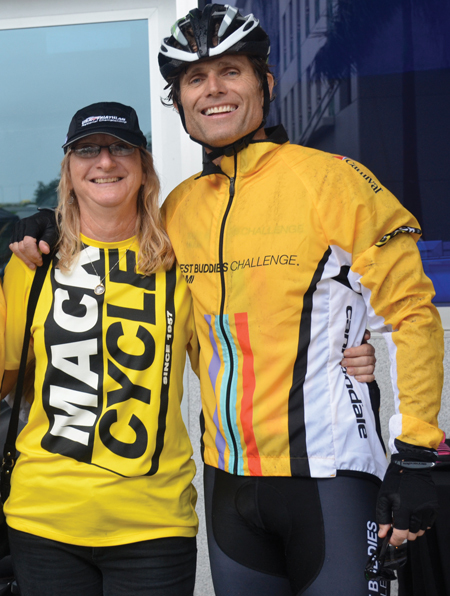 Mack Cycle hosts a Pro Clinic the night before the Best Buddies Miami Challenge. 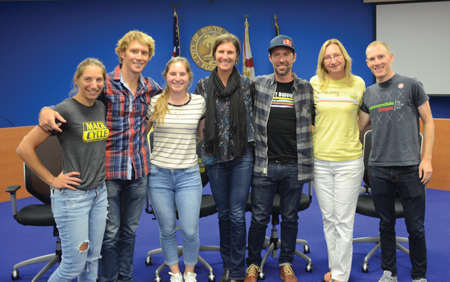 Pictured here with Mary Jane, Rachel and Sandy are professional cyclists Cameron Wurf, Lyne Dessette, Tim Johnson and Andrew Talansky. K. Shriver.